Every business must stand out in a crowd to become successful. With a custom Nissan NV or truck, you'll surely make your presence known and gain some name recognition around town. As your local Nissan Commercial dealer, it'd please us to no end to position your company for the future. Take a look at our Nissan Commercial Incentive Program and upfitting options to give your company vehicle that personalized, bespoke touch. Once you see the benefits of a Nissan upfit, you won't want to run a business any other way. Nissan Cargo Management Solutions - When you choose a Nissan NV Cargo or similar van, you can combine it with a customized cargo management system and upfitting package that best suits your business needs (see section below). Of course, you aren't limited by restrictions when working with the business team at Nissan of Van Nuys. The account managers at our dealership will gladly go over all your options. We can install add-ons, accessories, and special Nissan wraps to any vehicle, big or small. 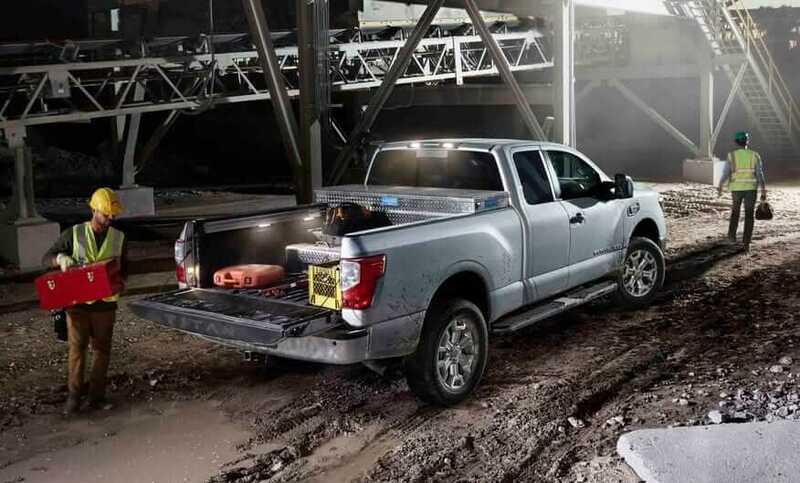 Stay on top of your workload with the right Nissan van gear! Designed to maximize efficiency, these upfit packages and solutions will guarantee you're prepared for any job. Cargo Management System (CMS) - The CMS includes three "AD Series" shelves, a cargo partition wall, Four Hook Bar, and Rail Kit. 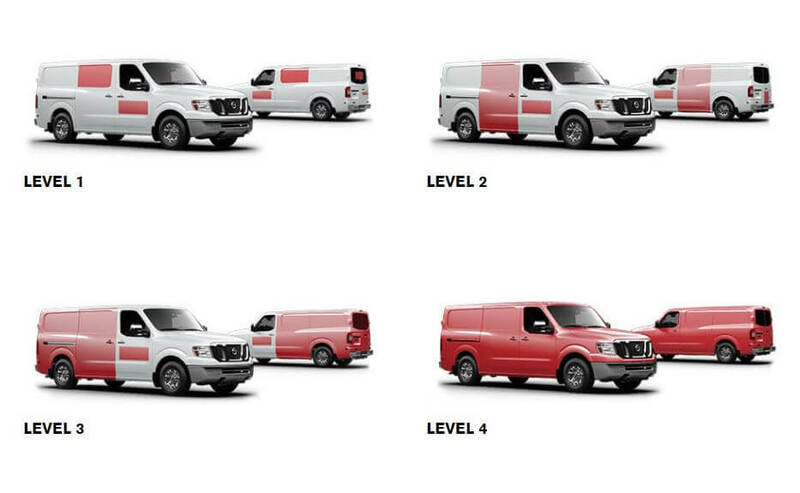 Utility Package - A bolt-on partition and 3 Bar Utility Rack are included in NV Cargo models with standard roofs. NV Cargo vans with high roofs substitute the utility rack for a Ladder Keeper. EZ Load Ladder Rack - NV Cargo models with standard roofs can be equipped with an all-new NV ladder rack. General Service Package - Service contractors pay a nominal upcharge fee for a bountiful harvest of NV Cargo equipment, including a Parts Bin System, divider, specialty shelves, and other Nissan NV modifications. Electrical Contractor Package - Electricians can also benefit from Nissan NV custom package. This upfit includes add-ons like a literature rack, large parts bin, and a wire holder. Security Package - Additional dividers and a hefty five-inch hook are included with this Nissan NV package. Cable Package - Utility workers can stay organized with these packaged modifications, which include extra Nissan NV shelving and drawers. HVAC Package - Any HVAC repair van worth its weight in Freon should have the useful 3 Tank Rack that comes with this Nissan package. Locksmith Package - This package includes an NV mobile office and locksmith workstation in addition to a large drawer and cabinet module. To ensure the highest quality, all Nissan Commercial upfit materials are built, tested, and installed by the Business Certified team at Nissan of Van Nuys or a verified upfit supplier. No ifs, ands, or buts. To learn more about building your ideal Nissan fleet, contact the account managers here at Nissan of Van Nuys. Â With numerous upfit packages to choose from, you'll have no trouble designing the right vehicle.